Count on Carolina Granite and Stone's granite services in Gastonia, NC, when you want to update your kitchen or bathroom. Your kitchen or bath transformation is only limited by your imagination. All planning, fabrication and installation is covered under one price from start to finish. 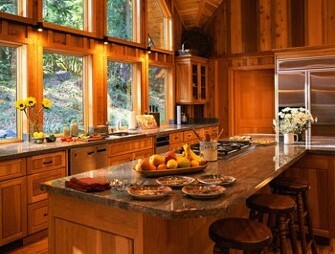 We remove existing counters and backsplash and plumbing and then we install the new items and plumbing. • Step 3: Installation Day; Let Us In and We Do the Rest! You can choose from ceramic, porcelain, or handmade tiles that go behind your granite countertop and on the wall under your cabinets. Your cost depends on layout of the tile and the tile itself. Check around, we offer very competitive prices and the finest material in the region. Contact us in Gastonia, North Carolina, to see our custom work with tile backsplashes and granite countertops.